This is the DuckTales reboot, hotly anticipated since that viral video featuring its all-star cast singing the main theme. The first episodes is a gripping, whirlwind, hour-long introduction into the major players within the DuckTales mythos and the intricate network of politics, loyalty, lies, and love underpinning the sprawling city of Duckburg. Huey, Dewey, and Louie escape the iron grip of their uncle, Donald Duck, to partake in the profligate lifestyle of their great-uncle. Uncle Scrooge, a self-proclaimed trillionaire, is a notorious corporate raider and capitalist scumbag whose money has enabled him to market hunting endangered species and violating ancient archaeological sites as "adventure". After destroying a number of priceless stolen artifacts that were secreted away in Uncle Scrooge's garage, they all travel to the ancient city of Atlantis to pillage it for profit and fame. We are also introduced to Launchpad, an obvious symbol of the drugged masses, Mrs. Beakley, the housekeeper chafing under the disrespect and mistreatment of her employer, and Webby, the granddaughter of Mrs. Beakley whose sheltered lifestyle has left her open to the corruption of bread and circuses. But seriously, as someone who hated the original DuckTales with a burning passion, I really enjoyed this episode. They basically fixed all of the things I hated about the first iteration. Donald Duck is still completely unintelligible, but that's par for the course and I'm starting to wonder whether this is one of those situations where if you don't grow up around his voice you'll never make out what he's saying. Also, the artwork is awesome. I've gathered from The Internet that watching children's shows as an adult is totally cool now, so if any of us watched this without any children around at all we should not be ashamed. We are all totally cool and mature adults so now let's discuss the family-friendly comedic shenanigans of a bunch of cartoon ducks. Also I concede to the possibility that Launchpad is not so much a symbol of the drugged masses as he is literally high on drugs. I believe cannabis is legalized within Duckburg and you know he's dealing with all kinds of chronic pain from the injuries incurred during his many, many, many crashes. And if you didn't see it when the DisneyXD channel ran it 197 times last weekend, the entire first episode is on YouTube without commercials and Disney-authorized! Honestly, I haven't gotten around to it yet but will in the next 24 hours, so you'll get my full review then (the original was okay, but I preferred Darkwing Duck). ...or, okay, I just pulled all that together on Storify. You can also download it for free on Google Play! For now. So I was like, the biggest Ducktales fan as a kid. Like - it was my jam, through and through. I could probably write a few thousand words right now about how deeply influenced I have been by DT, TaleSpin, and Darkwing Duck. When they announced the reboot, I rolled my eyes. I assumed it would just be a nostalgia cash in and pretty much forgot it existed. I watched it last night with my 5yo and it very clearly had the same effect on her as it did on me. When it got to the end she immediately asked to watch it all over again. 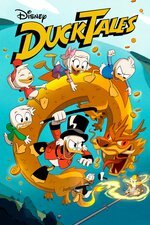 They really nailed the parts of the show that made it unique: getting right to the adventure, Scrooge's crotchety tendencies balanced by the kids' exuberance, visiting mythical places with interesting designs, and focusing more on delivering a fun journey than smoothing the edges for kids. It's exactly what I would want this show to be and I can't wait to watch it all with my daughter. I watched it with my kids (8 and 10). My kids read Donald Duck and Uncle Scrooge comics, so they were calling out all the Sins Against Canon, like Scrooge's money bin not being on Killmotor Hill, and Flintheart Glomgold being Scottish and fat, instead of skinny and Afrikaner. I quite enjoyed it and thought it was fun and well done, and better than the original series. My kids have seen the original series, and so far they like the original better. No accounting for tastes I guess. I didn't think they should have had Glomgold act so murderous at the end . . . Scrooge always plays fair ("tougher than the toughies and smarter than the smarties! And I made it square! "), so since Glomgold got the red gem first, it would have been in Scrooge's character to have conceded it. THIS WAS SOOOOOOO GOOOOOOOOOOOOOOOD. I'm angry that there won't be more until next month. Love the take on Scrooge as a retired-but-still-badass adventurer, less fond of the kids suicidal exuberance but willing to roll with it. The voice cast and look of the show are great. Disney posted the whole episode on YouTube. My kids were all-in as soon as the youngest (well, except the toddler) asked why Donald put the towel around his waist. Who has taken the role of Scrooge McDuck now that the wonderful Alan Young has shaken off this mortal coil? Why, none other than David Tennant! I watched it with my kids (8 and 10). My kids read Donald Duck and Uncle Scrooge comics, so they were calling out all the Sins Against Canon, like Scrooge's money bin not being on Killmotor Hill, and Flintheart Glomgold being Scottish and fat, instead of skinny and Afrikaner. fimbulvetr, your kids are AWESOME. I really enjoyed it! I think it was a little more forced than the original show (which is still excellent), but it's great that, which not adhering strictly to the legacy of the comics, it's a lot more willing to refer to them. I really hope they brought Don Rosa in to consult on it, I hate to see one of the great duck artists treated like he has. As far as I can find Rosa hasn't said anything publicly about the show since it aired, but in 2015 he said he had no interest in being part of the revival, including as a "consultant." I liked all the attention to detail in the new series, like all the famous Carl Barks paintings on Scrooge's walls. My kids thought that was cool as well, as I have a couple prints of the same pictures over my desk at home. My kids read Donald Duck and Uncle Scrooge comics, so they were calling out all the Sins Against Canon, like Scrooge's money bin not being on Killmotor Hill, and Flintheart Glomgold being Scottish and fat, instead of skinny and Afrikaner. This has warmed my cynical heart today. Your kids are great! It's going to be so depressing when we do the episode about Donald and Scrooge's last adventure together, where the nephews are orphaned shortly after they hatched due to Scrooge's rash actions and he falls out with Donald who becomes an overprotective neurotic. This was fun to watch. There are some one-off character intros on the Disney XD site which were also highly entertaining and likely not part of later episodes--check them out. The Launchpad one cracked me up. I must have watched every single episode of the original show, but can only remember two episodes now (the magic shadow one and the one where Scrooge loses his memory and accent). The theme song and intro have of course stayed with me. I've seen the premiere three times now. I am a thirty-something year old woman with no kids. I never really liked the original all that much -- I was way more into TaleSpin, Chip n' Dale, and of course, Darkwing Duck! But the reboot was so much fun. The music was superb, but it was glorious, seeing all the little touches, from the details in the background (was that Roxanne from Goof Troop in the waiting room? ), to the needed updates. I'm so glad the triplets and Webby seem to have their own distinct personalities now. I'm delighted Mrs. Beakley is less panicky. Launchpad hasn't really changed a bit, and I think that's OK, too? He's hilarious -- the whole show is actually pretty funny and the humor just seems to increase with rewatchings. I didn't catch the Swedish joke on my first view, or the fact that the shirt the boys are throwing in the trash compactor in the opening is Donald's classic sailor shirt. I wasn't sure about this at first, but now I'm on board and very much looking forward to seeing more of it in a month. I grinned at the appearance of marbles. This was so charming and joyful. Just solid fun. A lot of good, unexpected laughs and some smart writing. I absolutely loved this. As soon as I heard the theme song I was just so unbelievably happy. I feel like an idiot for saying so, since I'm in my 30s but, oh well. Love it and can't wait for the rest. I guess growing up watching the original really had an impact on me! Tennant as Scrooge is perfectly hitting the best notes of his time as The Doctor, with all the fun of a storied adventurer nerding out about adventuring with new companions. Excellent casting! Also I love when Moynihan's Louie voice drops into his Fourvel voice once in a while. After watching the first episode, and some of the vintage episodes, my kids are fully onboard the hype train. I loved it and I'm all in. I tried to get my sister to watch (we both grew up loving the original series) and she didn't like it. She says that the comedy is trying a bit too hard to be sarcastic/edgy. I disagree. I think it pretty perfect: smart wise-cracking fun adventure! It's exactly what I wanted/needed in this show. This along with a new season of Star Wars Rebels. It's going to be a fun season of cartoon/animation.